This is a 1:1 scale replica of the famous Colt M1911 .45 ACP. 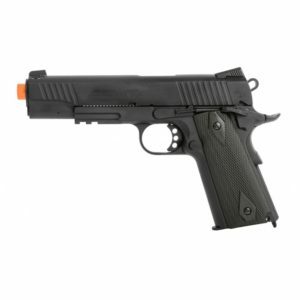 This COLT M1911 .45 ACP CO2 RAIL GUN BLOWBACK AIRSOFT PISTOL – TWO-TONE is manufactured by KWC and bears fully licensed Colt trademarks for authenticity. This is a 1:1 scale replica of the famous Colt M1911 .45 ACP. 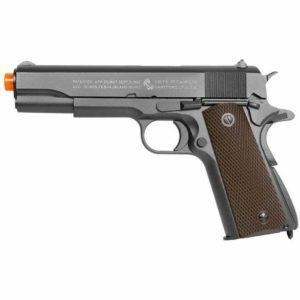 This COLT M1911 .45 ACP CO2 RAIL GUN BLOWBACK AIRSOFT PISTOL – TWO-TONE is manufactured by KWC and bears fully licensed Colt trademarks for authenticity. 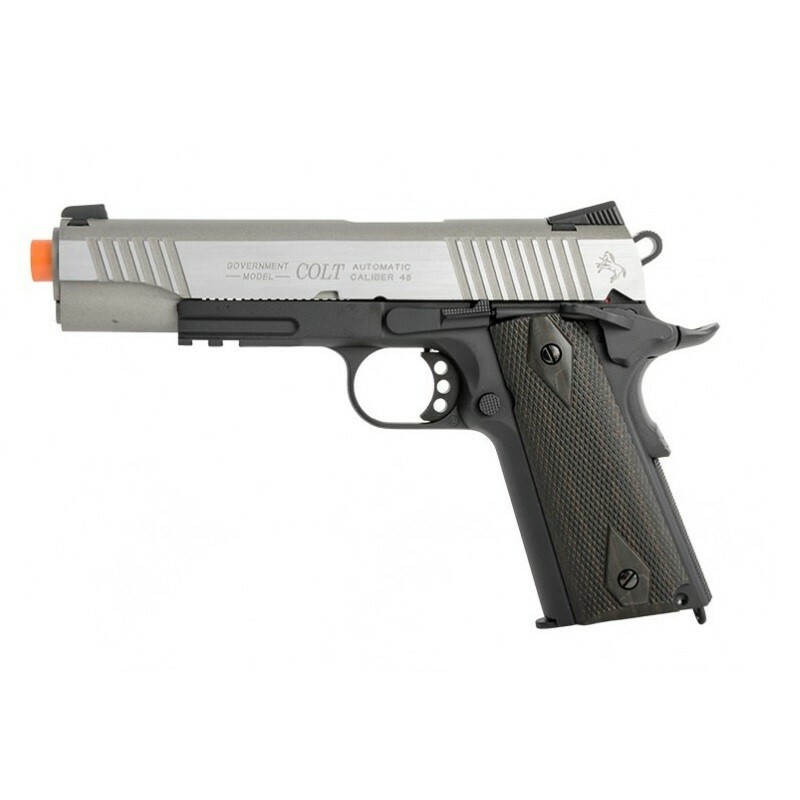 The frame and slide are full metal giving the pistol a very realistic weight and feel. It features a blowback function that causes the slide to shoot back as each shot is fired, just like a real handgun. The recoil kicks and makes the gun a blast to shoot. The slide will lock back after the last round of a magazine is fired, letting the shooter know that it’s time to reload. Built into the gun are a thumb and beavertail safeties. A 20mm rail is built into the lower frame where accessories such as lasers and flashlights can be added.